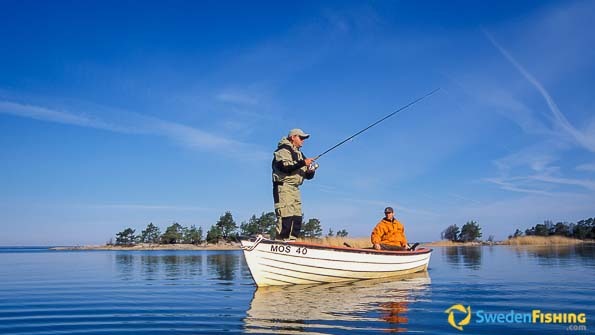 Since the climate in southern Sweden is much milder than most people think, the fishing season stretches from early spring into late autumn. And even if the weather can vary, it only makes the fishing better. A lovely, calm summer eve on the southern coast of Sweden. 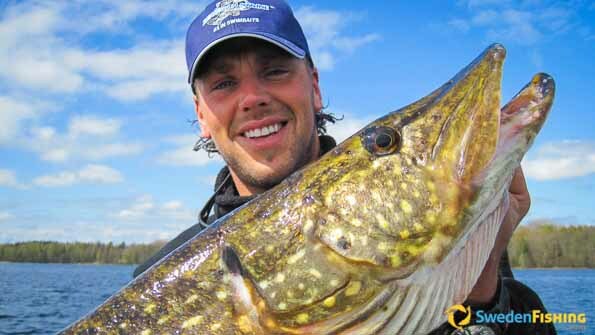 The fishing season in open waters in the southern parts of Sweden must seem very long – in mild winters it is sometimes possible to fish year-round. This is especially true since coastal water seldom freezes over. Generally people will naturally have warm weather with a slight breeze and the sun beaming from a blue sky. Fish and fishermen, however, are different breeds. 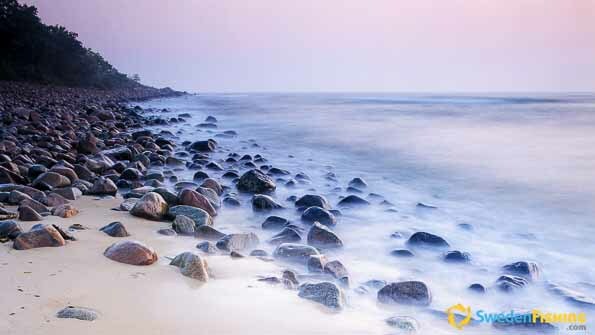 Even if it is pleasant to be outdoors when the weather is fine, it is not necessarily the best condition for fishing. And different species often like different fishing weather! Anna, Sven’s partner, explains that “pike, for example, is a typical foul-weather fish that likes cool water, wind and overcast skies.” When it is sunny and calm, pike have a tendency to seek deeper water, especially the larger fish. This is why pike is best fished in spring before the water is too high in lakes and along the coast, as well as in the autumn when the water is cooling off. The best time to land large pike is late in the autumn. In central Sweden this means early in September and in southern Sweden even later when the pike gather under the enormous schools of whitefish. As opposed to pike, perch are really good-weather fishes that truly deserve their reputation as the most popular, most common holiday fish. While the pike prefers to hunt under nastier conditions, perch bite well during lovely summer evenings in light wind and sun. The poetic picture of angling for perch your from own wooden dock is indeed very apt. “Perch like periods of stable weather with high pressure systems,” says Sven. “They prefer the water to be lukewarm. Zander shares this with perch and so the classic zander fishing is during warm, handsome summer evenings and nights.” Another excellent period to fish is in the spring when the zander is playing, though many waters are closed at least during May in order to protect the stocks. Still, even where you can fish, any zander caught ought to be returned to complete the spawning process. At one time the most common way to catch lake fish was trolling, but today new methods such as vertical fishing with jigs have made strong inroads.